The Saskatoon Police Advisory Committee On Diversity, SPACOD, was developed in early 2003 with representatives from the Open Door Society, Amnesty International, Metis Youth, University of Saskatchewan International Students, Saskatoon Tribal Council, Metis Nations of Saskatchewan, and the local LGBTQ2S community. Over the years the committee has branched out to a cross-section of different, local organizations. It now includes OUTSaskatoon, TransSask Support Services Inc., Friendship Inn, Saskatoon Open Door Society, Global Gathering Place, University of Saskatchewan, Jim Pattison Children’s Hospital, Saskatoon Tribal Council, FASD Network, Autism Services of Saskatoon, Riversdale BID, Saskatoon Crisis Intervention Service, City of Saskatoon, Sask. Associaton for Community Living, Radius Community Centre, United Way, The Islamic Association of Sask., Sask. Intercultural Association, The Lighthouse Supported Living, Sask. Foster Families Association, Sanctum Care Group, Saskatoon Correctional Centre, Ukrainian Canadian Congress and Saskatoon Regional Intersectoral Committee. SPACOD strives to strengthen relationships with Indigenous and Metis People, new Canadians, persons with disabilities, Saskatoon’s gender and sexual diverse community, the justice system, local tribal councils and numerous community-based organizations within our community. The committee meets on a quarterly basis to share ideas and identify strengths and gaps in services which Police provide that impacts members of our community. 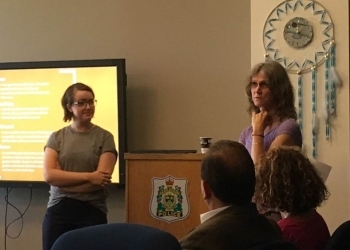 Many initiatives have come out of SPACOD including gender neutral washroom in the SPS headquarters, the Vulnerable Person Registry, LGBTQ2S training for members of the SPS, the transgender detention policy as well as reviewed recruiting policies. 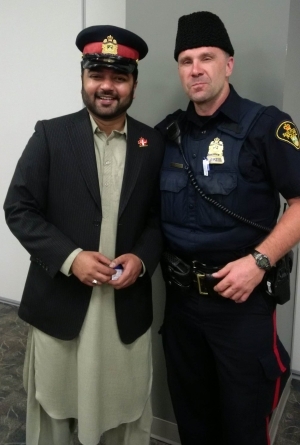 SPACOD's mission is to serve as a link between the Saskatoon Police Service and the diverse communities of Saskatoon. The committee provides education and open lines of communication to improve relationships to better work with the community in an open and respectful environment.